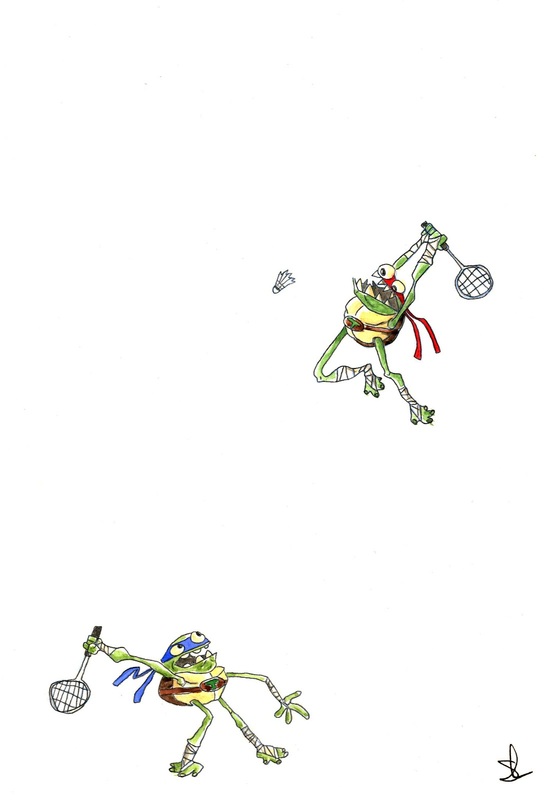 My aunt wanted me to paint a painting for her, so I though what does she like, she likes badminton, and I like turtles so I decided to paint some turtles playing badminton. Turned out Raph was just screaming to be turned into 3D. And hope Kirsten don't check my blog!